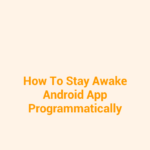 How to select all extension files like .docx, pptx, xlsx, doc, pdf, jpeg, png, gif, txt, exe, apk, mkv, avi, .mp3 etc from file manager and show their path into app activity. 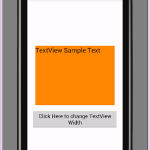 The method ACTION_GET_CONTENT is used to open the file manager in android with the use of Intent. 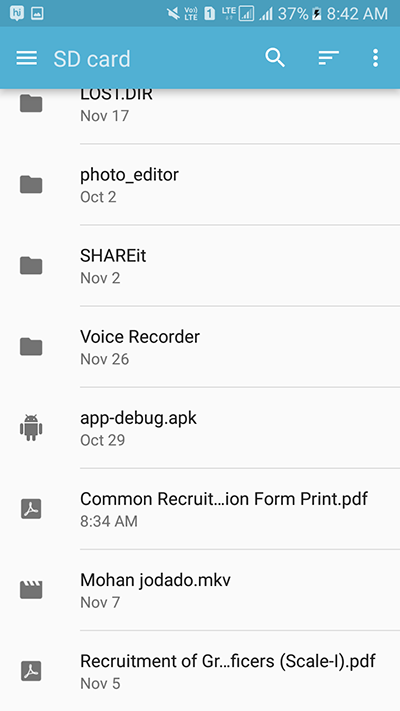 By passing the right argument in it an application developer can open the default file explorer which is comes with android device pre installed . 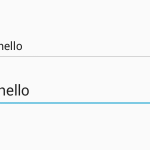 So in this tutorial we are using the intent.setType(“*/*”) method which will allow us to select any file with any extension available. 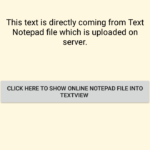 After selecting file we will show its path into custom toast message so with the help of this developer can do whatever he wants to do with this file. 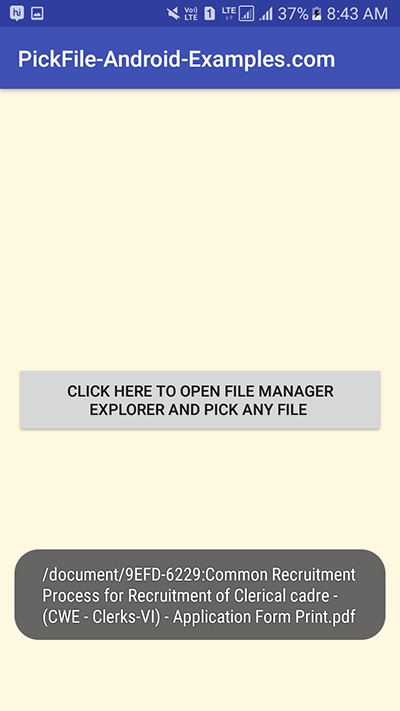 So here is the complete step by step tutorial for Open File Manager Explorer In Android Pick Any File Programmatically . 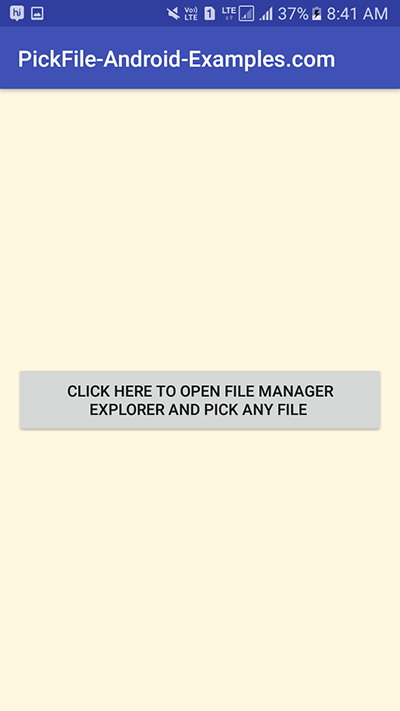 How to Open File Manager Explorer In Android Pick Any File Programmatically. 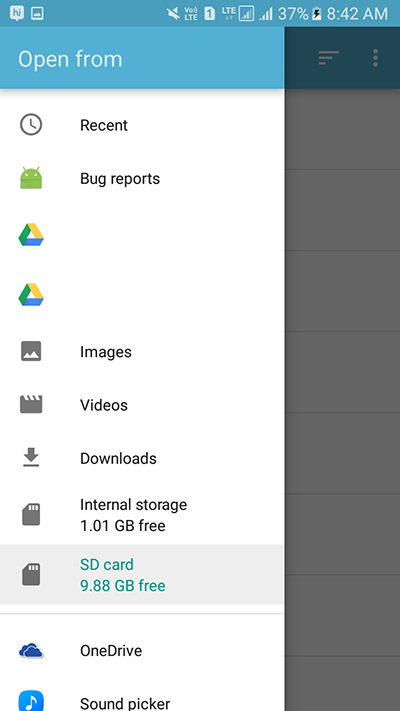 android:text="Click here to open file manager explorer and pick any file "
Click here to download Open File Manager Explorer In Android Pick Any File Programmatically project with source code. Remove the bitmap image compression function from your file. Send me your whole code on [email protected] i will solve your error.